Christina is happy to be back with Inspiration Junior for a second season! 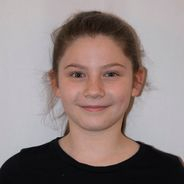 She is a 5th grader and has been in theater and performing arts since age six. Favorite past roles include Jemima Potts (Chitty Chitty Bang Bang) and Little Cosette (Les Miserables). Christina also enjoys competitive gymnastics and soccer. She is thankful to her family for their encouragement and support. Kelsey is from Cumberland RI and is currently in the 7th grade. This is her first year with Inspiration Jr. She is very happy to a part of this group! She has been involved in theatre since she was 6 years old and still loves to perform at the Stadium Theatre. Some of her recent favorite shows include Madagascar Jr. and The Wizard of Oz. 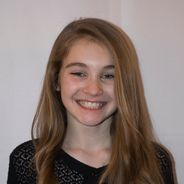 In addition to singing and acting, Kelsey also enjoys tennis and socializing with friends! This is Ella’s 1st season with Inspiration and she is so excited! She is 11 years old and in 6th grade. Ella loves to sing, dance, and hang out with friends in her free time. She enjoys preforming at the Rhode Island Stadium Theatre. Some of her favorite roles have been Private the Penguin in Madagascar Jr. and Pipper the Elf in Stadium Theatre’s Holiday Spectacular. She also dances at Starline School of Dance and was a competitive gymnast. This is Cooper's 2nd year with Inspiration JR. He is a 3rd grader at the Freeman Kennedy school in Norfolk. Cooper has been singing and dancing since he was 3 years old. 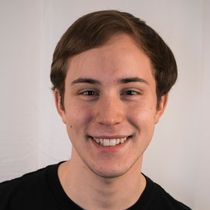 He has attended Franklin School for the Performing Arts for several years and has been in a variety of productions including: Wizard of Oz, Grease, Shrek Jr and Tis the Season. When he isn't performing he loves to draw, build legos and go to musicals or movies. Cooper is so excited to be back with Inspiration JR! 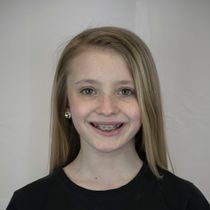 This is Kathryn’s first year in Inspiration Jr. she is a 7th grader and has been dancing and performing in theatre for a few years. Recent shows at the Stadium theatre include Footloose, Madagascar and Willy Wonka as Veruca Salt. 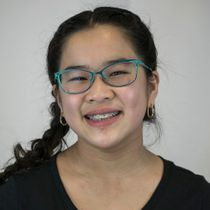 Aside from a love of dancing, singing and performing, she also enjoys playing the cello and swimming. Ashley is currently in 7th grade at the Ahern Middle School in Foxboro, MA. This is her second year in the Inspiration Jr Troupe. She's performed in several musicals including Dear Edwina Jr, Annie Kids, School House Rock Jr, Frog and Toad Jr, and The Jungle Book Kids. Ashley has also participated in many dance competitions and received a Jazz Solo Award. She enjoys music, plays the flute and piano, and loves to sing and dance. 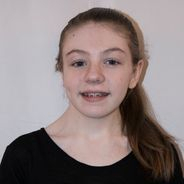 Ashley is very excited to be part of the 2018 cast of Inspiration Jr.
Meghan is 10 years old and in 4th grade at Freeman Kennedy School in Norfolk. 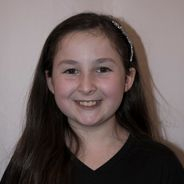 Meghan has always loved to sing and started singing and performing with Ivy Music Academy in Norfolk at the age of 8 years old. Meghan also plays the saxophone in the school band. In addition to music Meghan loves sports and plays field hockey, basketball, and lacrosse. Meghan’s smile and kind personality will light up any stage! 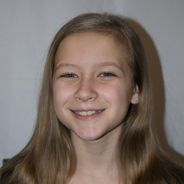 Kristina Brightman is in the 7th grade in Foxboro, MA. This is her 2nd year in Inspiration. She enjoys singing, dancing and acting. Some of her past shows include: The Jungle Book, Camp Rock, The Tooth Fairy, Seussical, Annie and High School Musical. 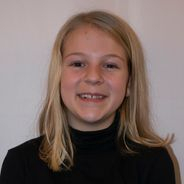 When she is not performing, she enjoys art, soccer, skiing, and playing the piano and flute. She also enjoys spending time with her friends, family and her dog Skipper. Rowan is from Medway, MA and is in the third grade. She has been performing in theatre since she was five years old. 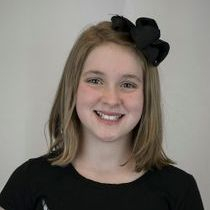 Some of her past performances include: A Christmas Carol, Little Mermaid JR., Alice in Wonderland JR., Willy Wonka JR.(under the direction of Emily Garven), Wizard of OZ and Madagascar JR. Her favorite being the role of Gretel in Getting to Know the Sound of Music. She will be performing in Lion King JR. and Beauty and the Beast this spring at Stadium Theatre. Rowan enjoys perusing her love of acting, dancing and singing. This is is her debut with Inspirations Jr. This is Emily’s second year with Inspiration, Jr.! She is a 7th grader at the Ahern Middle School and has been doing musical theater since elementary school. 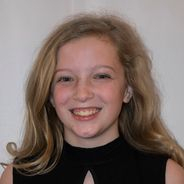 Emily has previously performed in Seussical, Jr., Annie, Jr., The Jungle Book, Jr., and School House Rock, Jr. Emily enjoys singing with the chorus at her school and playing the piano. Cassie Allen is in 7th grade at the Ahern Middle School in Foxborough, MA. This is her first year in Inspiration Jr. Some recent productions she has performed in include, Lion King Jr, Mary Poppins, and High School Musical Jr. When she’s not performing, Cassie enjoys hanging out with her friends, baking, and skiing. She also loves spending time with her two dogs and three cats. 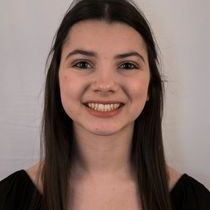 Katherine is excited to start her first season with Inspiration Jr. Katherine has been involved in community theatre since she was six and in dance since she was seven. 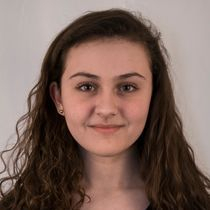 She enjoyed performing in Seussical, Wizard of Oz and Mulan Jr.
Carly Bourque is 15 years old and goes to Ursuline Academy in Dedham. She has been in Inspiration Performing Troupe for 6 years and has enjoyed being in it ever since she started. She has a passion for singing and performing and has done it since she was very young. Carly also enjoys traveling and recently went to France and Hawaii. She hopes to continue doing Inspiration for as long as she can and is very excited for the upcoming season. Carson is a junior at Mount St. Charles and this is her first year in inspiration. She has been in several shows at the Stadium theater such as the Wizard of Oz, Bring it on, and Footloose. She has also been in many of her school productions, her most recent being Serena in Legally Blonde , and Tzeitel in Fiddler on the Roof. 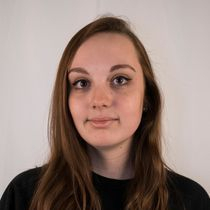 Marissa Carlin is a senior in high School and is enjoying her fourth year as a member of the Inspiration Performing Troupe. 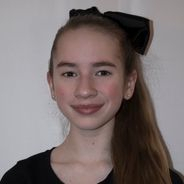 Marissa has been singing since she was a little girl, and from there has became a performer in many musical theatre productions along with becoming a songwriter. Some of Marissa’s favorite Roles has been Campbell in Bring It On, Heather Duke in Heathers, Ariel in Footloose, and Elle Woods In Legally Blonde. Marissa can not wait for another season filled with music, laughter, and memories with her friends. This is Sydney’s first year with Inspiration! 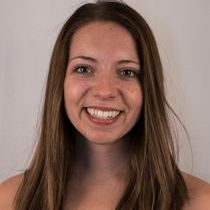 She is a junior at Mount St. Charles and has been doing musical theatre for many years at Stadium Theatre and FSPA. She most recently played Elle Woods in “Legally Blonde” and Hodel in “Fiddler on the Roof”. She is very excited for the upcoming year with the troupe and can’t wait to make great memories performing! Hailey is a Freshman at North Smithfield High School. This is her first year with Inspiration! She most recently performed in "Footloose The Musical!" directed and choreographed by Emily Garven. She also enjoys being apart of the Women's Choir at her school! Devon is very excited to take part in his third year of Inspiration. He has been very active memener of the community theatres in Rhode Island for many years, and Inspiration has done nothing but help further his theatrical career! He is in his junior year at JMW school for the performing arts and is looking forward to applying to schools soon! 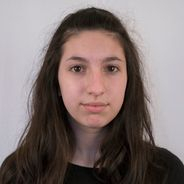 Sarah is 16 years old and currently attends Walnut Hill School for the Arts. She loves to perform, dance, act, and experiment with dark room photography. When she’s not performing, you can find her writing a screenplay, singing along with friends, or leading a dorm meeting at school. Sarah is excited to start her fifth year as an inspiration member. She is looking forward to working with some old and some new friends. 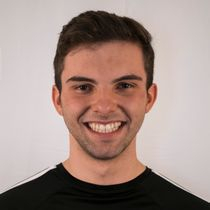 Joe is 19 years old and is currently taking the Spring semester off from college but is excited to perform one last time in Inspiration for his second season before returning to school in the Fall. Joe has participated in many musicals over the years, some of his favorite roles include “Ryan” in High School Musical and “Randall” in Bring It On. When not performing he enjoys spending time with his friends, watching movies, and playing the piano. 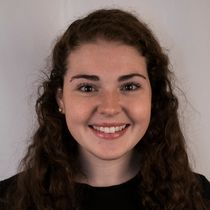 Alex is a freshman at Marymount Manhattan College where she studies Musical Theater. This is her fourth year being in Inspiration. In her free time she enjoys working for the Stadium Theatre education programs. She is very excited for this season and can't wait to see whats in store! Jamie has been with Inspiration for four years. 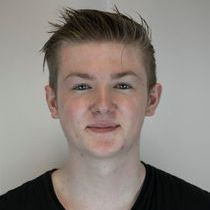 He started out as a performer and is now a performer as well as assistant choreographer. 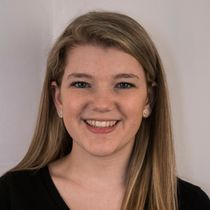 Jamie is a senior at North Smithfield High School and a dancer for DTRI. He is a performer and dance teacher. He plans on pursuing professional dance in college. 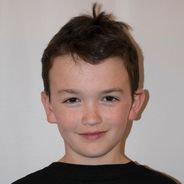 Jamie's favorite part of Inspiration is using his creativity to dance and choreograph with his friends! Grace Garven is 17 years old and has been in Inspiration since 2009. She attends Tri County Regional High School and will be attending Bridgewater State University in the fall! She loves to sing and perform with her friends! 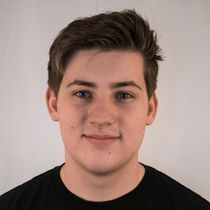 Kyle is a senior at Uxbridge high school, this is his second year in “inspiration” he has performed in his schools shows and in shows at the Stadium Theatre within the past couple of years. 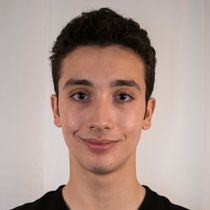 He will also be attending AMDA for their 2 year conservatory in performing arts in New York City. Renee is currently a senior at North Attleboro High School, and is going to college next year to pursue a major in Musical Theatre! She has been involved with various community theaters since she was 9 years old. 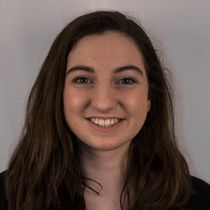 Favorite roles include, Marty in “Grease,” Peggy in “Camp Rock,” and Ariel in “The Little Mermaid.” This is Renee’s third year in “Inspiration” and she is so excited to make new memories, and for the adventures to come this season! Caitlin is currently a senior at Foxboro High School and this is her second year in Inspiration! She has always loved to sing, dance, and perform. 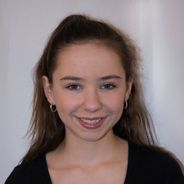 Caitlin has performed in many musicals, most recently as a dancer in Footloose. 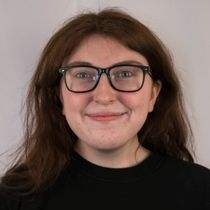 She is also excited to be taking on a new role this year, directing a production of High School Musical Jr. She is so excited to be a part of the 2018 cast of Inspiration! 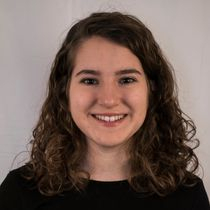 Jessica Nordquist is a junior studying Multimedia Communications at Blackstone Valley Tech. Singing, dancing, and acting have been her passion since 3rd grade. 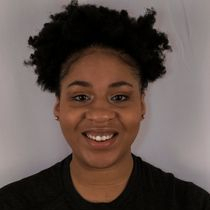 Her most recent shows include Footloose and Bring It On the Musical, where she was able to use her cheerleading skills at the Stadium Theatre. She enjoys writing songs with guitar and piano, while also performing them with her band. Jessica is most looking forward to all the new opportunities Inspiration will bring her this year! This is Sara’s fifth year with the Inspiration Performing Troupe and she is super excited for this season! She is 18 years old and is currently in the middle of her senior year at King Philip High School. 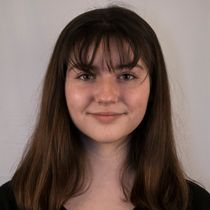 She will be studying Musical Theatre in the fall at the American Musical and Dramatic Academy in New York City. When she’s not performing, she enjoys being with her friends and family. This will be Ally's 9th year in Inspiration (she has been a member for more than half of her life!) 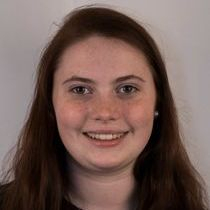 Ally is a Sophomore at King Philip Regional High School where she is a member of the track and cross country teams. Ally's favorite part of Inspiration is seeing her friends and traveling with them! This is Justin's first season with Inspiration. 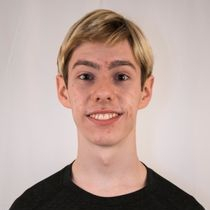 He's a senior at Millis High School, and has been doing theater since 5th grade! Favorite roles include Rock and Roll Boyfriend in "American Idiot," Lyle in "Footloose," and Baby John in "West Side Story." He plans on attending college next fall pursuing Music and Sound Recording, and is very excited about participating in the upcoming season!